I’m often asked how I came up with Whistling Past the Graveyard for a title. So, now, before all of you, I will confess: I am horrible at coming up with clever titles. My books begin in fabulous sounding files such as Book 11, or Coming of Age Book, Childhood Chaos Book, Resort Book, Barnstormers Book, or simply the main character’s first name. So Whistling Past the Graveyard began life as “Starla.” Which is not a title, of course, catchy or otherwise. But I did what I always do, let it sit there on the file until inspiration finally hits. With luck it does. Without luck, I begin begging critique partners and editors for suggestions. When I began chapter 8 of Whistling Past the Graveyard and typed that phrase, I literally hopped out of my chair and shouted, “That’s it!” I’m pretty sure there was a hallelujah chorus filling the room, sung by a choir of angels. Even with the divine assurance, it was a tough sell to my publisher at first. But after everyone at Gallery read the full book, it was agreed the perfect title. My sweat drenched nights of worry were over. The rest is history. Now time for another admission. 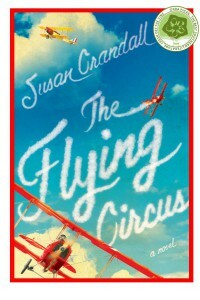 THE FLYING CIRCUS, was not a title of my choosing. My publisher was quite fond of putting the word circus on the cover. I had reservations (see note below about how titles are chosen and go to worst case scenario). This is a book about three misfits and a mutt on a journey full of danger, love and betrayal. Storm and Tempest was my first choice. Admittedly inspired by a poem not universally known, and yet, so very apt for this book. 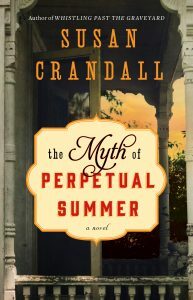 For my upcoming June 2018 release, THE MYTH OF PERPETUAL SUMMER, I experienced a similar situation to Whistling, minus the initial doubt by my publisher. As you read this book, you’ll see that it, also, is the perfect title. Sometimes even us blind pigs find a truffle. Winner, Winner Chicken Dinner … or Silver Biplane Charm. Congratulations to the winners of the silver biplane charms: David, Zonica and Becky! It’s 1923. The country is in the throes of change. Come along with barnstormers, Gil, Henry and Cora on the adventure of a lifetime. dangerous lives of the barnstormers, 1920s Hollywood, and explored the expanding world of aviation in an earthbound society. You won’t want to miss the cool photos and fun facts! were chosen from the comments left on the post by an unbiased panel (my granddaughter) by scientific method (finger pointing to her daddy — another unbiased participant). They are: Andrea Kershaw and Patty Warren!!! If you ladies would contact me susan@susancrandall.net we’ll arrange for those copies to head your way. Thanks to all of you who posted! I wish I had enough copies to send each and every one of you an advanced edition. Watch for more giveaways and bonus material to come! 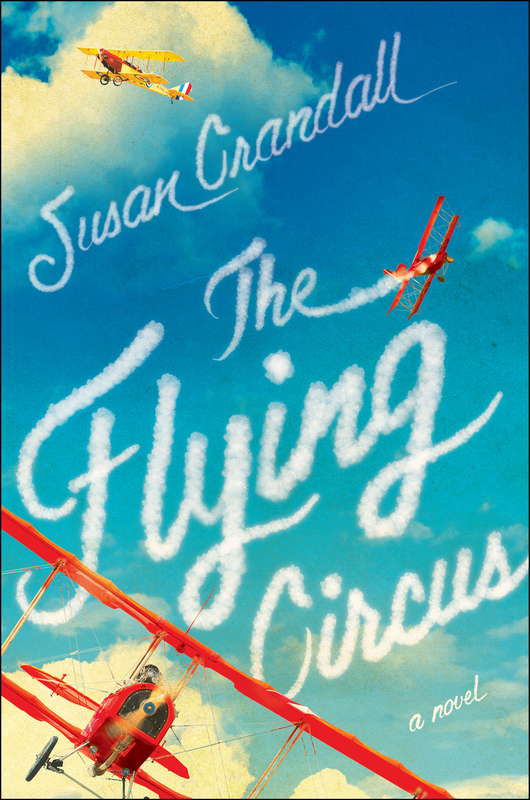 Now that THE FLYING CIRCUS is on it’s way to you–arriving on shelves July 14, 2015–starting next week, watch for new posts as I take you along with me during the creative process of creating my next novel.